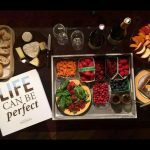 For most of us in this group, dining out isn’t just about eating…it is about having an experience. It’s about being transported to another place, or another time, even if it’s just for a couple of hours. 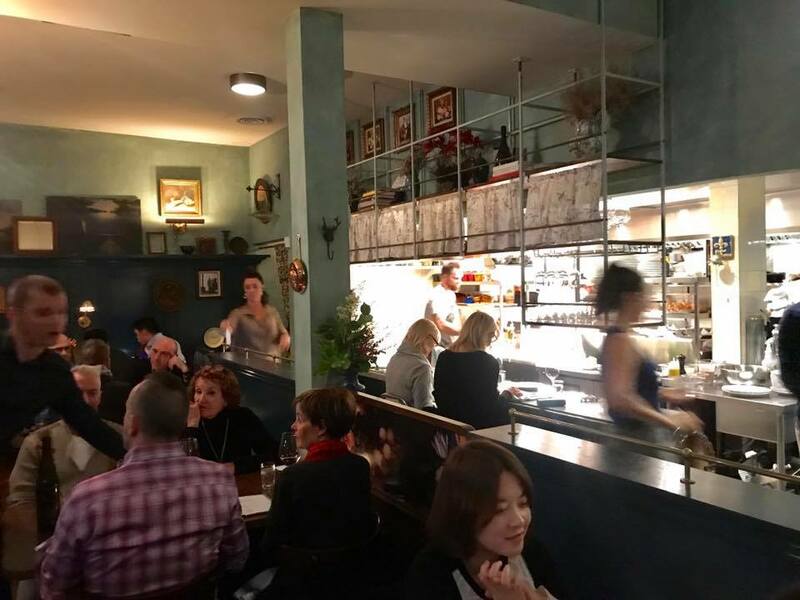 And, for a few hours this evening, I felt like I was back in Paris at my favorite local bistro in St. Germaine des Pres or back in Quebec City at a small little resto tucked away in the old part of town. More than many of the higher end restaurants I have visited lately, St. Lawrence creates a strong sense of place. 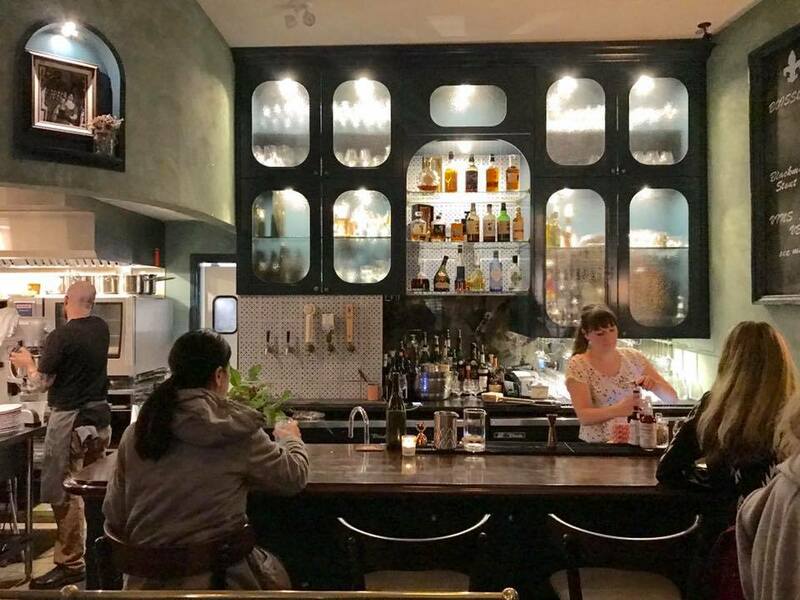 The small, cozy room is filled with wooden antiques, warm lighting from elegant chandeliers, dainty curious, and pictures of the chef’s family when he was growing up in Quebec. 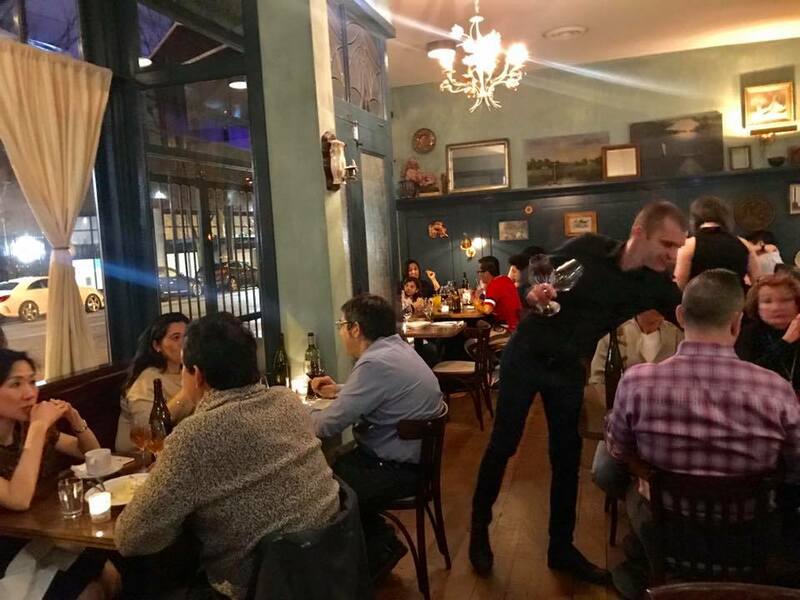 All of our servers were extremely friendly and accommodating and really know the food and wine (and how to pair the two). And then there was the food. 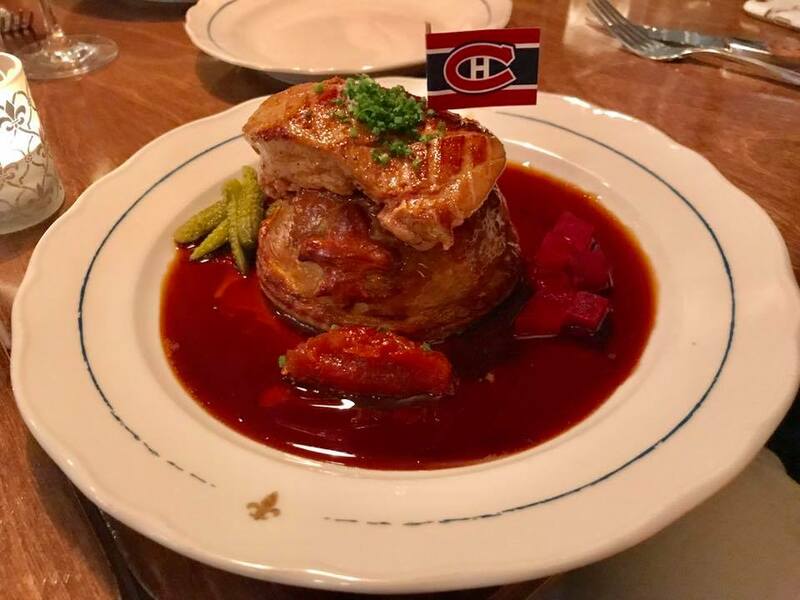 This is Classic French cuisine with Quebecois inspiration. Hearty and generous portions of classic French dishes, with a modern take. 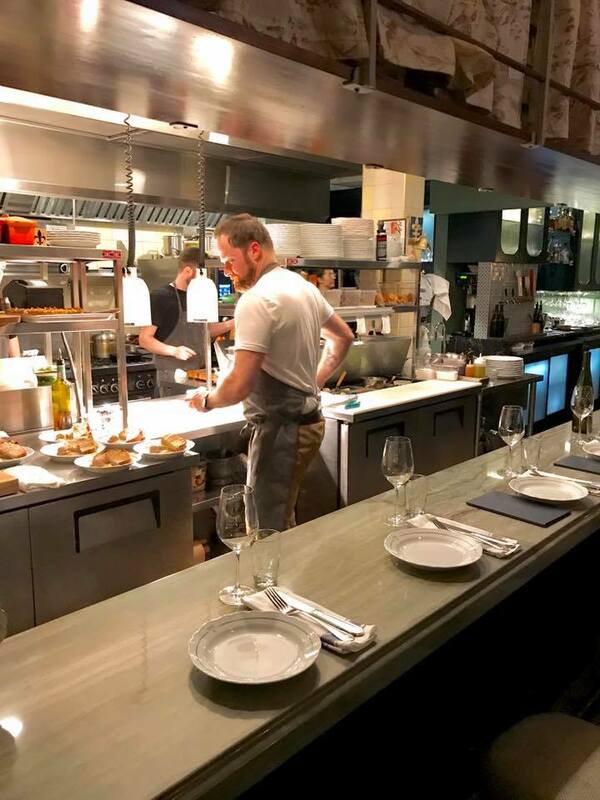 While some dishes clearly tie back to the chef’s Quebecois heritage (like the tourtiere and the sugar pie), he brings his own modern interpretation of these dishes to the table. 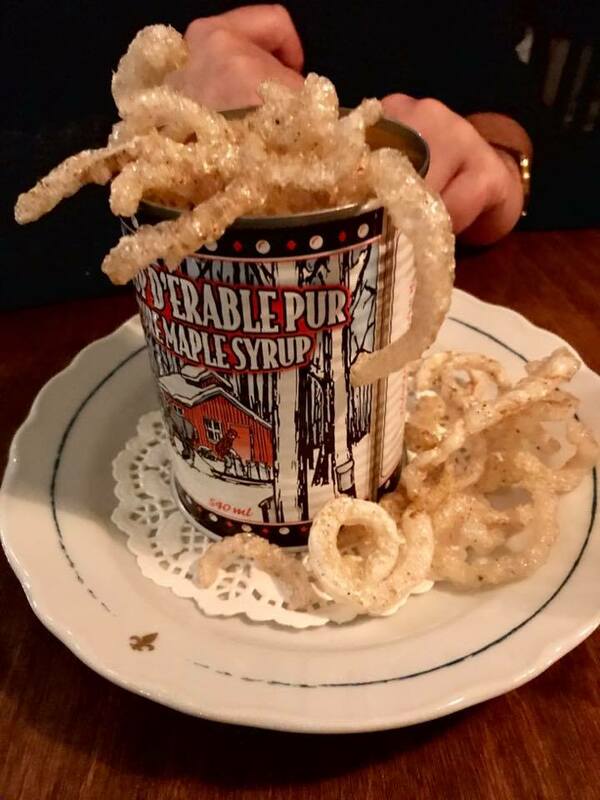 His Quebecois signature is also evident in the presentation…delicate fleur de lis plates that look like they came from his grandmere’s cabinet, a Montreal Canadiens flag on the tourtiere, serving Oreilles de Crisse (crispy maple pork rinds) in a maple syrup tin. This attention to detail really elevates the meal to another level. Every dish that we had this evening was on point, with the exception of the Côte de porc, fromage Oka & pomme purée Robuchon (the combination of pork, cheese and apple puree didn’t really work for me). 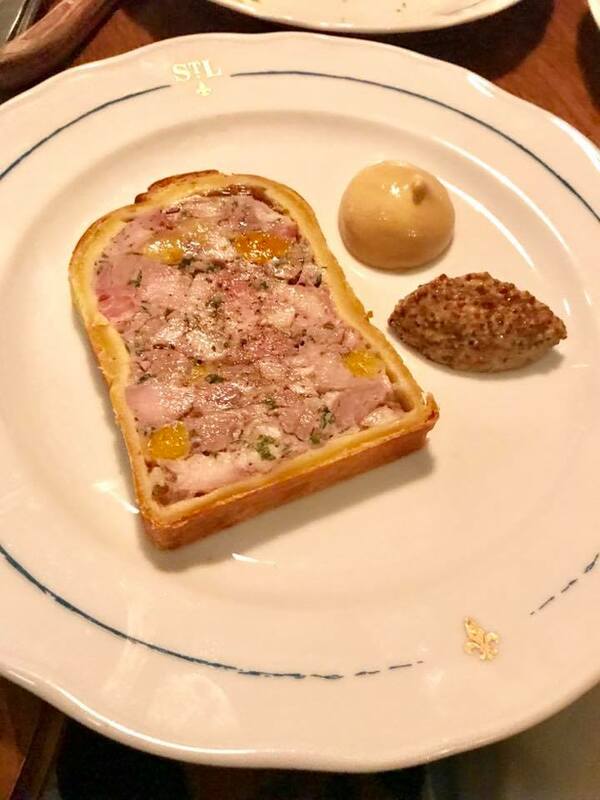 House-made terrine of the day: today, the terrine was made with pork and apricots (this is a magical fruit and meat combination). 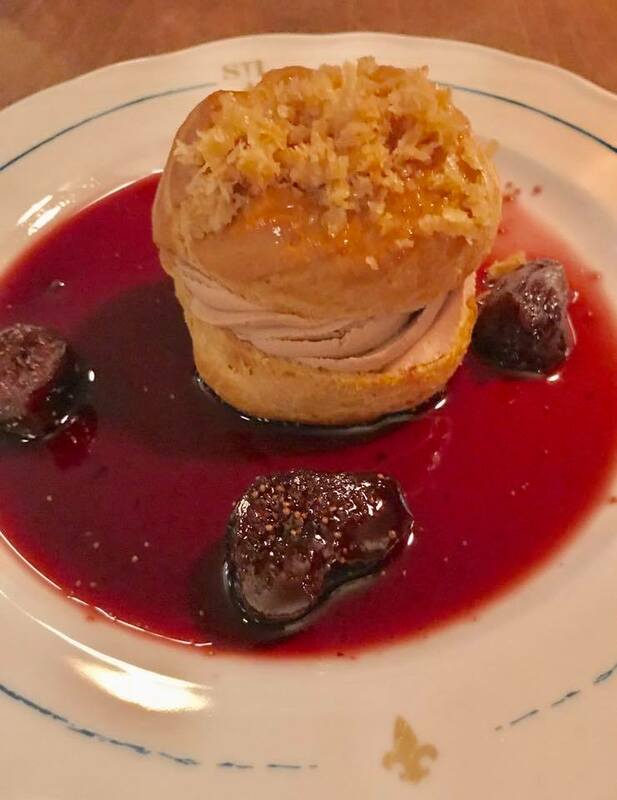 Paris-Brest à la mousse de foie gras (Duck Liver and foie gras mousse with choux pastry): Light, airy pastry with a delicate foie gras mousse that is light and flavourful. Tourtière de ville au cerf (Venison traditional meat pie): outstanding dish, with just the right amount of cinnamon and cloves to round out the hearty meat filling. We added the optional pan-fried foie gras to this dish…it was cooked to perfection and melt-in-your-mouth delicious. 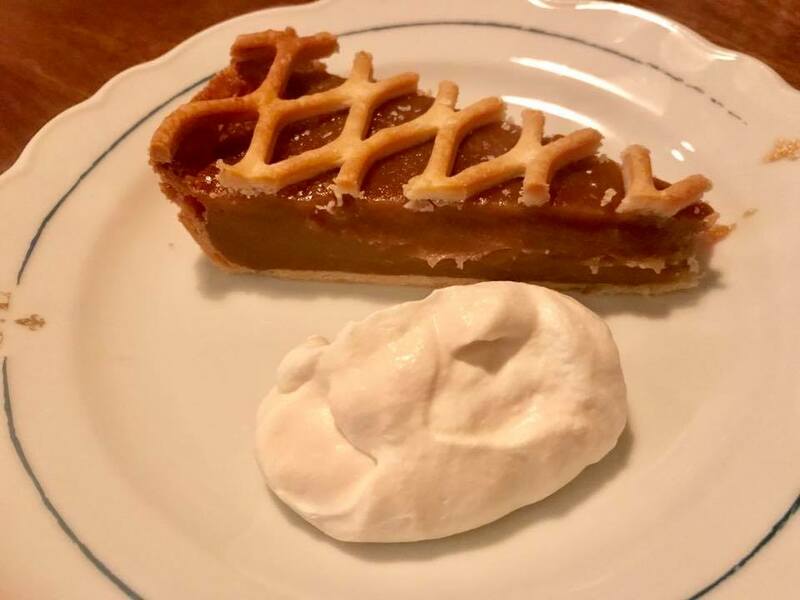 Sugar pie and vanilla cream: all the sugary goodness you’d expect from a sugar pie – rich and sweet with just the right amount of gelatinous texture, topped with a light lattice pastry. So, would I go back? Definitely. But be warned that this place isn’t cheap (about $90-100 per person, including a couple glasses of wine or cocktails). But hey, it’s cheaper than a flight to Montreal or Paris.